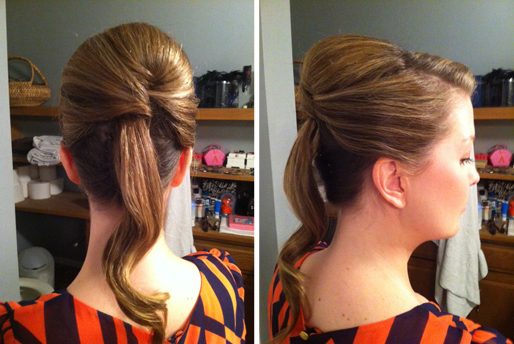 My best friend asked me to do her hair for a wedding that she attended. Of course I jumped at the opportunity to practice my skills and do hair on someone other than myself. I chose a sophisticated yet youthful look that is reminiscent of Joan from Mad Men. You can actually find the tutorial in Lauren Rennell's vintage hairstyling book. Step 1: I separated the hair horizontally from ear to ear. 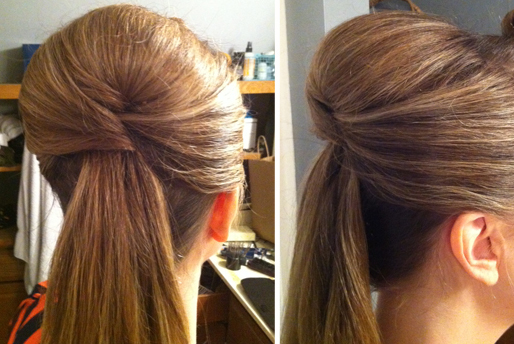 Step 2: I created a small french roll and left the tail hanging out. roll to reduce the amount of teasing. 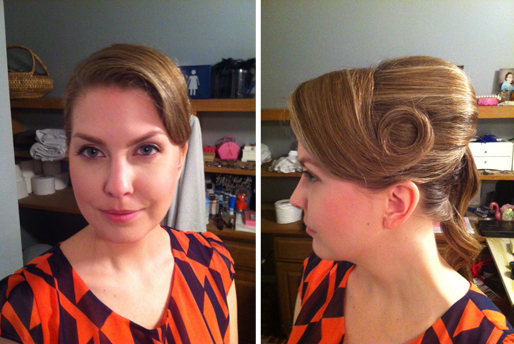 Step 4: I teased the hair on the crown and brought it over the roll I created from the top and sides. I smoothed as I went and tucked in the bobby pins to hide them. Step 5: I left some hair out from the bang area and teased it and pin curled the end. 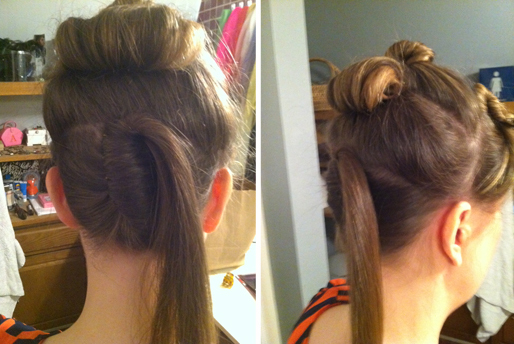 Step 6: I curled the left over pony tail to give it some bounce. I used a curling wand.